As the discoverer of Asteroid 316201, NASA's Amy Mainzer had the right to name the object under the rules established by the International Astronomical Union. So her choice to name the asteroid after Nobel Peace Prize-winner Malala Yousafzai is a truly generous and beautiful gesture. 316201 Malala (2010 ML48), as it's now formally called, is an asteroid in the Main Belt between Mars and Jupiter. The object is about 2.5 miles (4km) in diameter and features an extremely dark surface, one resembling the color of printer toner. It completes a full orbit once every 5.5 years. "It is a great honor to be able to name an asteroid after Malala," writes Mainzer at the Malala Fund Blog. "My postdoctoral fellow Dr. Carrie Nugent brought to my attention the fact that although many asteroids have been named, very few have been named to honor the contributions of women (and particularly women of color)." 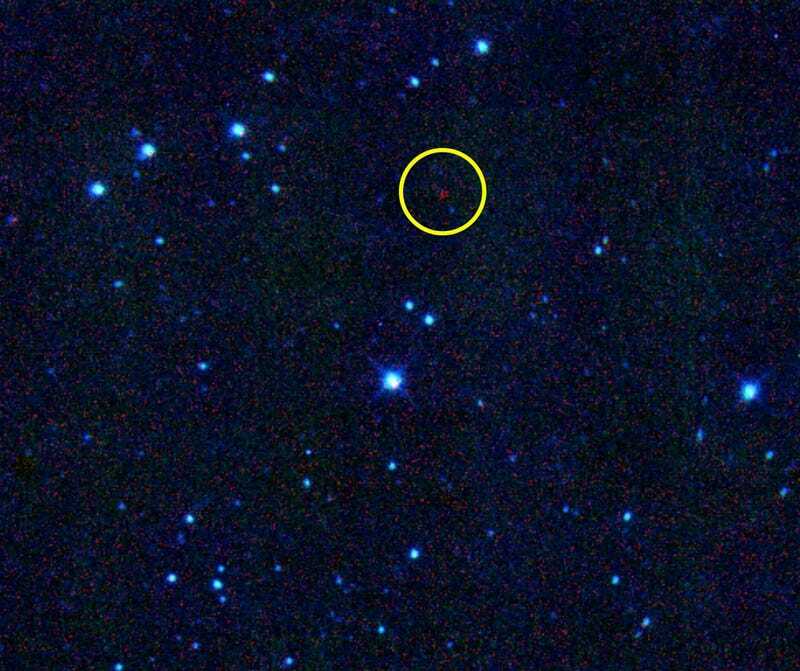 Mainzer used the NEOWISE telescope to find the object back in 2010. Malala Yousafzai, age 17, is a Pakistani activist for female education and the youngest-ever Nobel Prize laureate. She rose to international prominence following a failed assassination attempt by the Taliban in 2012. Since then, her advocacy has grown into a global movement. "My advice to young girls is that science and engineering are for everyone!," writes Mainzer. "We desperately need the brainpower of all smart people to solve some of humanity's most difficult problems, and we can't afford to reject half the population's. Plus, it is a wonderful feeling to learn about the world around you – it's a job you will fall in love with each day."